This is .22 Long Rifle Winchester Super X 40gr Truncated Cone Hollow Point Ammo. 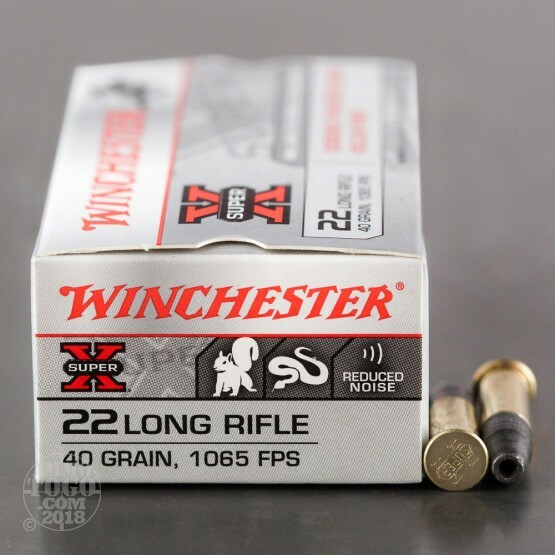 Winchester expands its rimfire ammunition line for hunters and shooters with the introduction of a new subsonic, heavy bullet, .22 Long Rifle (LR)game load. 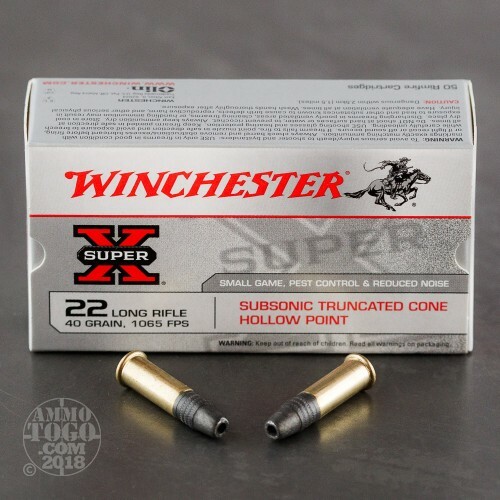 The new Super-X Subsonic round combines reduced velocity for exceptionally low noise, with a heavy bullet weight for improved penetration on small game and pests.The new Winchester Super-X Subsonic .22 LR features a 40-grain, truncated-cone, hollow point, lead bullet, with a muzzle velocity of 1,065 feet per second (fps) and 101 foot-pounds of muzzle energy. 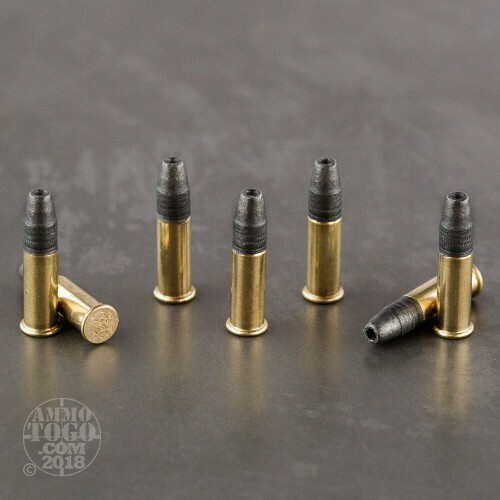 This round is also designed to provide shooters consistent hunting accuracy and stopping power in a single shot, and will reliably fire through any bolt action and most semi-automatic rifles. 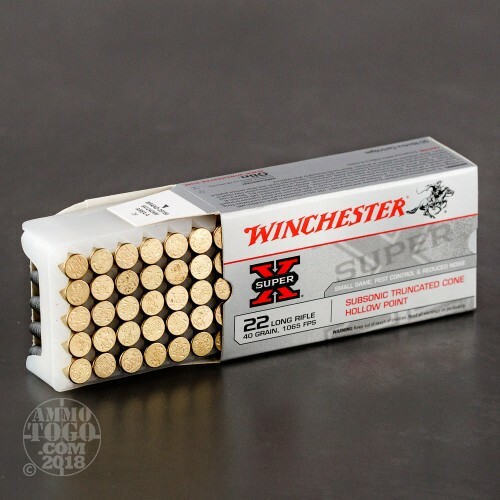 The new bullet is boxed in convenient 50-round plastic trays. This comes in 50rd boxes and 500rds to a brick. Extremely accurate in my Glock 22 LR conversion upper. Spot on & cycles perfectly. Feeds without fail in my 10/22 Ruger as well. Hardest hitting .22lr subsonics I've ever used. Accurate for hunting ammo.